Natural and organic cosmetics . Parabens -free products , Paraffins and Perfumes. Organic cosmetics There are 13 products. 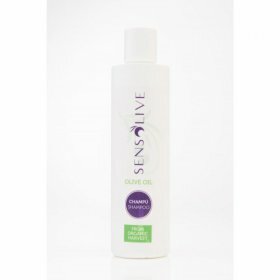 The EXTRA VIRGIN OLIVE OIL combined with the botanical properties and vitamins 100% ORGANIC moisturises and protects skins against external aggressions, strengthening fingernails and smoothing the cuticles. The skin recovers its hydration, therefore recovering the elasticity and luminosity. It is a perfect size to carry it in a purse. Organic Hand Soap. 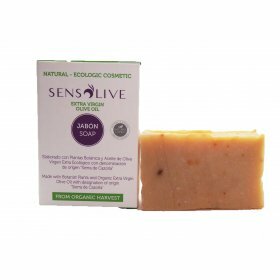 Bar of 85 grs with Organic Extra Virgin olive oil. Mountain range of Cazorla. PDO. 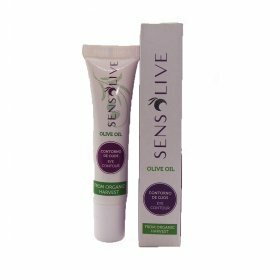 For the active properties of the EXTRA VIRGIN OLIVE OIL, and 100% ORGANIC vitamins, protects the cells from the external aggressions, therefore strengthening the capillary walls. It hydrates and nourishes the layers of the dermis, smooths imperfection and wrinkles of the eyes contour, reducing the eye bags formation. This innovative serum contains Boerhavia Diffusa Root Extract, lightening active ingredient which acts on the pigmentation initial mechanisms, reducing melanogenic activity and causing a tone decrease and skin blemishes. It is recommended to be applied only at night, on clean and dry face. For all kind of skins, even the most sensitive ones, thanks to the EXTRA VIRGIN OLIVE OIL and its botanical properties and vitamins 100 % ORGANIC, leaves a soft skin, and helps to mitigate its dryness- Therefore it provides a deep hydration. 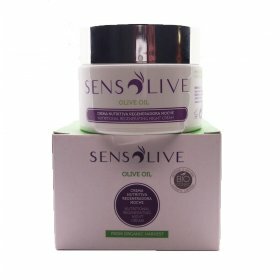 Due to the nutritive and antioxidant properties of the EXTRA VIRGIN OLIVE OIL, and botanical ingredients and vitamins 100 % ECOLOGICAL, prevents the damage and fragility of the hair, revitalizing the root and the scalp, helps to protect, repair and strngthen the hair, giving it a shiny aspect every day. It reduces hair breakage in 90%. 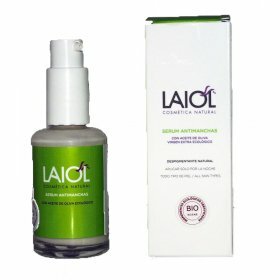 Cellular regenerative ANTI-AGING SERUM with organic hialuronic acids. The ones with low molecular weight acts in superficial layers of the skin contributing to its hydration and regeneration. The one with very low molecular weight penetrates into deeper layers, acting in the wrinkle hydrating and diminishing its appearance. Pamper your body whether you hide it under winter clothes or you exhibit it to the summer sun, thanks to the active properties and vitamins of the 100% ORGANIC EXTRA VIRGIN OLIVE OIL. Provides elasticity to the skin, regenerates it, reduces blemishes and wrinkles, alleviates, heals. UVA rays and depilatory treatments. 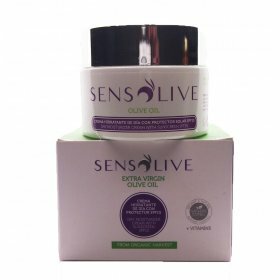 The EXTRA VIRGIN OLIVE OIL combined with the botanical properties and vitamins 100 % ORGANIC, hydrates the skin during the day and protects it from the sun, reducing the appearance of lines of expression and wrinkles. It improves the luminosity of the skin, contains FPS15, increases skin hydration and maintains its natural balance the whole day. 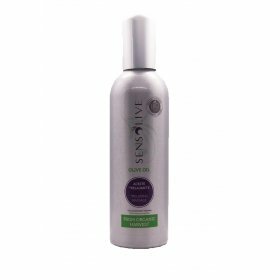 Essential oil with the active properties of Extra Virgin olive oil and Medicinal plants of 100% Organic Origin. It improves the inconvenience caused by fatigue or bad blood circulation, nourishes and hydrates your skin. 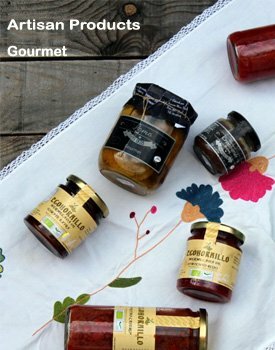 Essential oil with active beginning of Extra Virgin olive oil and Medicinal plants of Ecological Origin 100 %. It facilitates the body relaxation, nourishes and hydrates the skin.